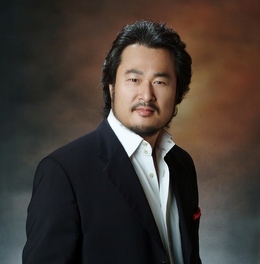 Hyun Lee, a nationally acclaimed tenor and a visiting scholar at University of Lynchburg, will present a recital Sunday, February 26, at 7:30 p.m. in Sydnor Performance Hall, Schewel Hall. The program will feature Old American Songs by American composer Aaron Copland, Three Shakespeare SongsOp. 6 (based on excerpts from Twelfth Night and As You Like It) by English composer Roger Quilter, and “Maria” from West Side Story by Leonard Bernstein. 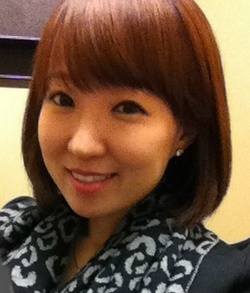 Hyunyoung Hwang, pianist, will accompany Lee. The concert is free and open to the public and is supported by the Yeungnam University research grants, 2011. Lee earned a bachelor of music from Chung-Ang University in South Korea and a vocal performance diploma from Rossini Conservatorio. He went on to earn an opera diploma from Osimo Opera Accademia in Italy where he won numerous national competitions. Following his critically-acclaimed debut at Pesaro Opera Festival in Italy and the release of his CD of live recording of Amor Vuol Sofferenza, composed by L. Reo at Martina Franca Opera Festival, he was nominated for a prominent cultural figure of the year by the Joungang Daily, the largest newspaper in Korea, and was selected as a member of Japan Arts, the largest classic management agency in Japan. He embarked on a performing career that brought his artistry to major concert halls of South Korea and abroad. In both a national and international career of opera, oratorio, cantata, and recitals, Lee has sung more than 50 leading tenor roles in more than 1,500 performances. A member of the voice faculty at Yeungnam University in Gyeongsan, South Korea, Lee is also a director at Operatic Emotion Research Center and at cyber Emotion Research Institute at Yeungnam University. Hyunyoung Hwang has enjoyed an extensive career as a soloist and collaborator in South Korea and the United States. She earned both a bachelor’s and a master’s degree in piano performance from Yeungnam University in South Korea, and as a competition winner, she performed with the Yeungnam University Orchestra. Her performances include twenty appearances as a solo recitalist, orchestra soloist, in chamber music recitals, and more than 500 performances in collaboration with vocalists and instrumentalists. She is pursuing a doctor of arts in piano performance at Ball State University where she studies with Dr. Robert Palmer.